Since ancient times simple toys like miniature building blocks have been adored by children in a variety of cultures worldwide. 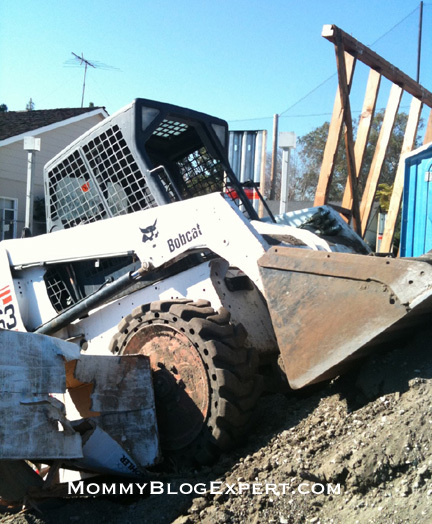 In fact, I recall one of my own fondest memories as a Baby Boomer growing up in the 60s: Spending hours on end building and, of course knocking down, structures constructed with colorful wooden blocks. Today some younger children still play with wood blocks like I did and other generations before. However, more often than not -- just like my own family did when they were little -- modern kindergartners and early elementary age students probably are more likely to be seen playing with plastic creative building playsets like the Blok Squad Construction Site that Mega Bloks recently introduced. My own kids are already teens, so I gave this Mega Brands toy to a good friend who just had a new baby last week but also has two older boys that will soon enter grade school. The very next day she told me that her sons, especially the five year-old, was already having a great time building various construction vehicles with the 395 pieces this Mega Bloks playset comes with. The little boy I gave the Blok Squad Construction Site toy to this week will soon be moving into a new home that his family is building right now. For sure, he really had a blast opening his present and playing with all the construction workers and equipment -- including a 4x4, Track Loader, and Road Roller that he made with this set. I have no doubt that this young fellow and his brother will be occupied with this interactive non-electronic toy for hours creating and learning while building his motor skills while mom nurses and diapers the new baby. Come to think of it, for all those reasons and more that explains why this was so well received. Talk about a toy or game that moms, dads and kids will all be excited about receiving! The creative and educational toy featured in this review is part of the company's new Every Day Heroes Collection that introduces kids to essential community people such as construction workers, fire personnel, and the police. Each set can be enjoyed alone, but with two or three of these special sets your child can build an entire Bloktropolis. 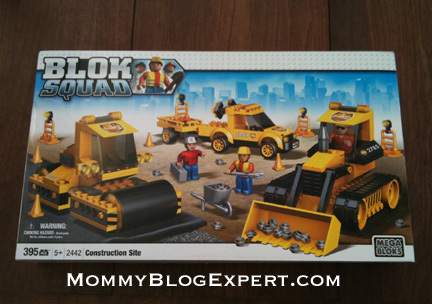 Blok Squad Construction is designed for ages 5 and up. Made by Mega Brands, it is priced at a very affordable $19.99 and is available at Toys "R" Us, Walmart, and Amazon in-store and online in the U.S. Plus in Canada, you can buy this at Walmart CDN, Toys "R" Us (online and in-store), and Zellers. 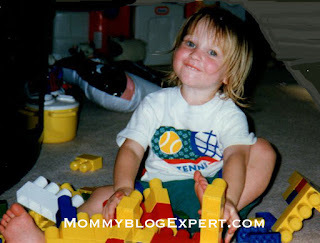 I hope you'll share your own or your child's experience with playing with Mega Bloks and link to photos of your own with this fun toy. Happy Holidays! FTC Disclosure: Mega Brands provided the Mega Bloks product reviewed to facilitate this post. However, MommyBlogExpert did not receive any payment or other compensation associated with this post. See complete FTC Disclosure information that appears at the bottom of MommyBlogExpert's main page and at the bottom of every individual post on this blog, including this one.